A springboard to a lifetime of happiness! Weddings aren't just one special day - they are a springboard to a lifetime of happiness! We at LJ Events LOVE to keep in touch with our couples beyond their special day, as they set out on a lifelong journey together. This time last year we were honored to be a part of a beautiful wedding for Ben and Hannah. The couple has since welcomed adorable twin girls into their world! Here is a throwback to their wedding day in honor of Ben and Hannah's one year anniversary! Hint: Symbolic gifts for your first anniversary are "paper" or "clocks". A wristwatch is always a good gift. A book - counting as paper - can be very sentimental. Here are some more ideas for your first anniversary. 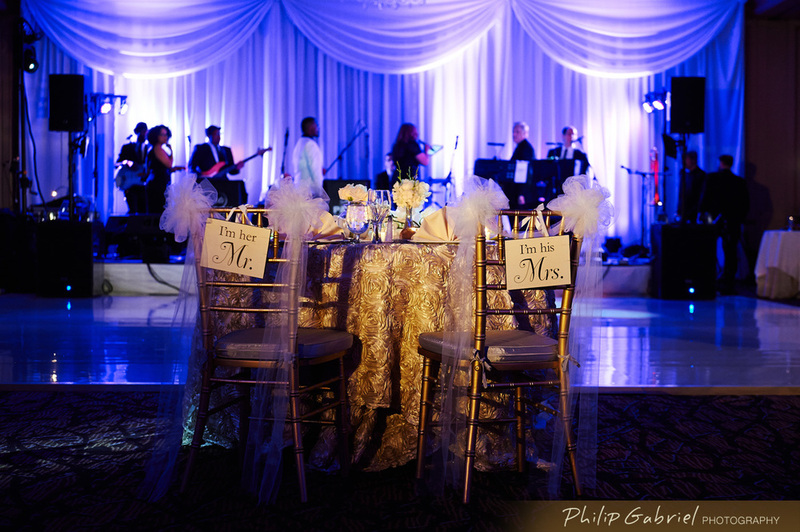 Guests came to celebrate at the Westin Ballroom in Philadelphia. Carl Alan's floral designs transformed the room into a chandelier studded wonderland and music from CTO Park Central brought the room to life and multiple generations to the dance floor. Champagne flowed and fun was had by all! Thanks to Philip Gabriel Photography they will be able to relive their day for years to come! Fast forward! Lauren and Jamie of LJ Events catch up with Hannah and her adorable twinsies.